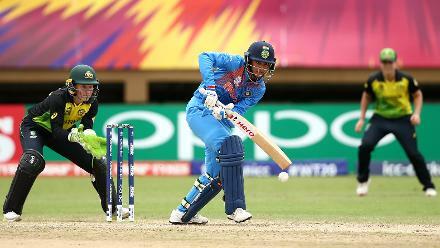 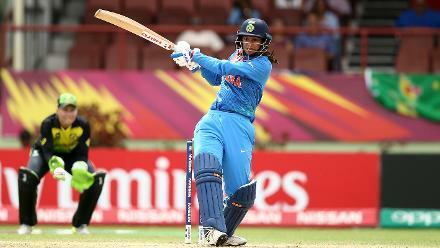 Smriti Mandhana of India bats during the ICC Women's World T20 2018 match between India and Australia at Guyana National Stadium on November 17, 2018 in Providence, Guyana. 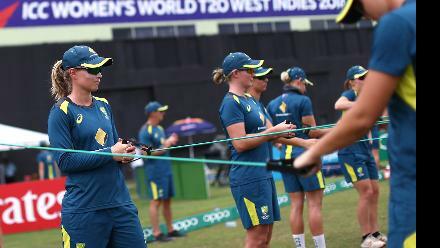 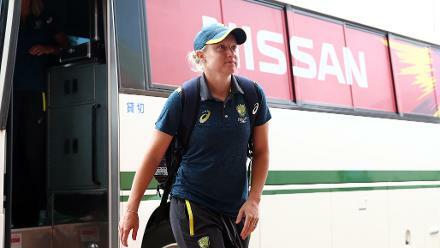 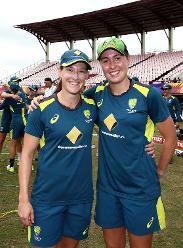 Meg Lanning of Australia speaks to her players during the ICC Women's World T20 2018 match between India and Australia at Guyana National Stadium on November 17, 2018 in Providence, Guyana. 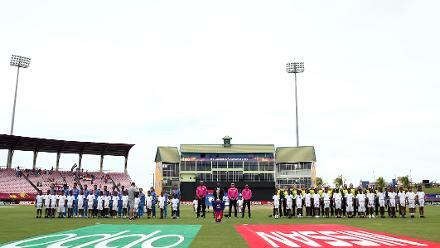 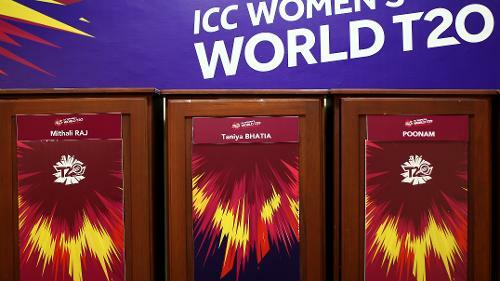 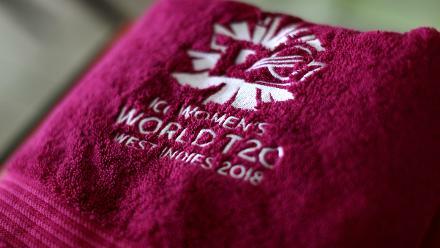 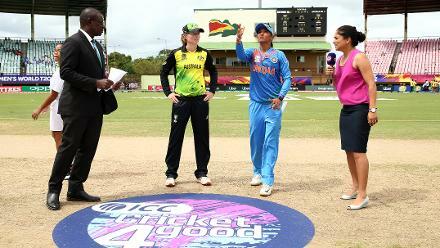 Teams line up for the national anthems during the ICC Women's World T20 2018 match between India and Australia at Guyana National Stadium on November 17, 2018 in Providence, Guyana. 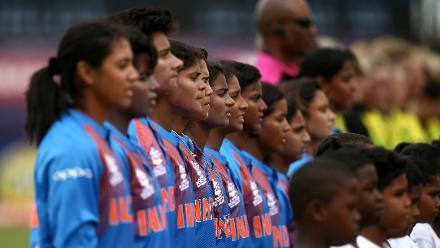 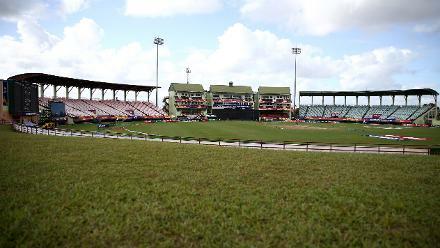 The India team sing their national anthem during the ICC Women's World T20 2018 match between India and Australia at Guyana National Stadium on November 17, 2018 in Providence, Guyana. 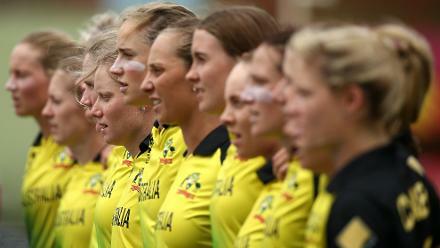 The Australia team sing their national anthem during the ICC Women's World T20 2018 match between India and Australia at Guyana National Stadium on November 17, 2018 in Providence, Guyana. 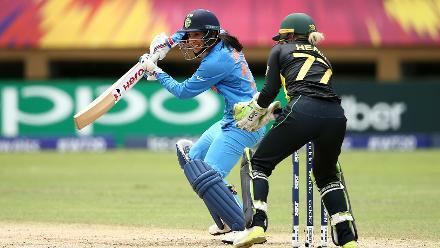 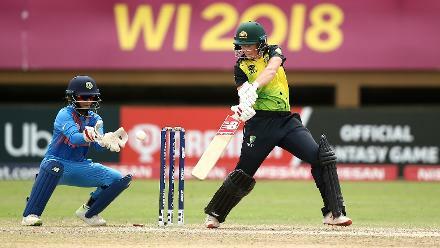 Smriti Mandhana of India bats with Alyssa Healy of Australia looking on during the ICC Women's World T20 2018 match between India and Australia at Guyana National Stadium on November 17, 2018 in Providence, Guyana. 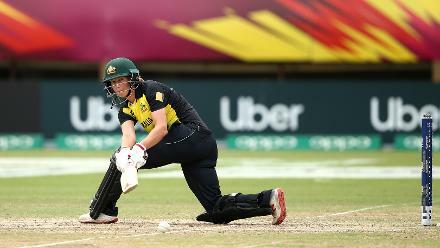 Megan Schutt of Australia bowls during the ICC Women's World T20 2018 match between India and Australia at Guyana National Stadium on November 17, 2018 in Providence, Guyana. 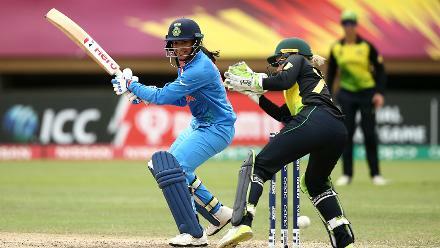 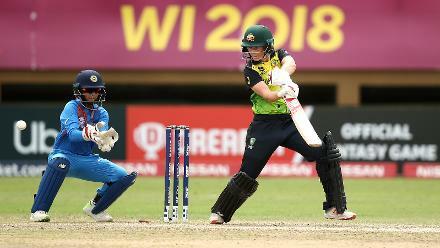 Meg Lanning of Australia bats with Taniya Bhatia, wicket keeper of India looking on during the ICC Women's World T20 2018 match between India and Australia at Guyana National Stadium on November 17, 2018 in Providence, Guyana. 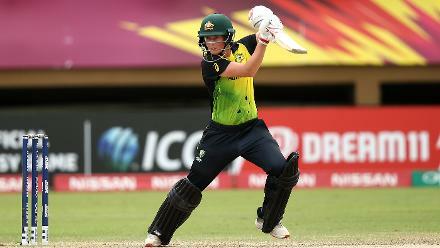 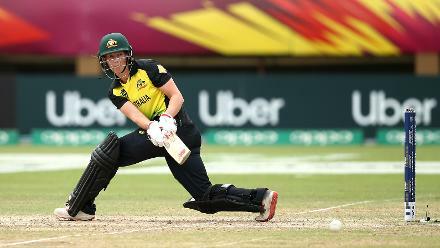 Meg Lanning of Australia bats during the ICC Women's World T20 2018 match between India and Australia at Guyana National Stadium on November 17, 2018 in Providence, Guyana. 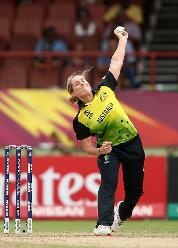 Sophie Molineux of Australia bowls during the ICC Women's World T20 2018 match between India and Australia at Guyana National Stadium on November 17, 2018 in Providence, Guyana. 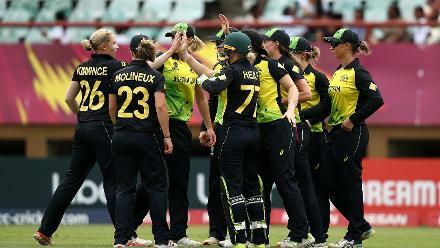 Australia players celebrate a wicket during the ICC Women's World T20 2018 match between India and Australia at Guyana National Stadium on November 17, 2018 in Providence, Guyana. 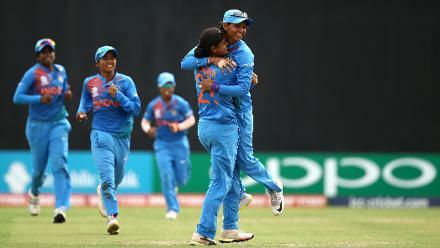 Radha Yadav of India celebrates a wicket with captain Harmanpreet Kaur during the ICC Women's World T20 2018 match between India and Australia at Guyana National Stadium on November 17, 2018 in Providence, Guyana. 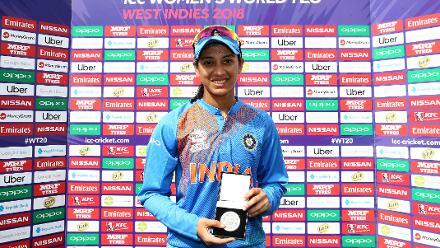 Smriti Mandhana of India poses with the player of the match during the ICC Women's World T20 2018 match between India and Australia at Guyana National Stadium on November 17, 2018 in Providence, Guyana. 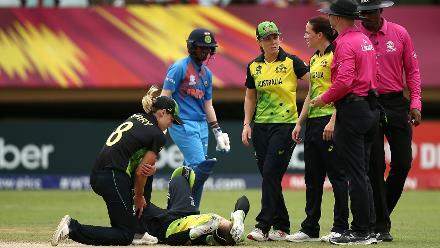 Alyssa Healy of Australia lies on the wicket injured after crashing into team mate Megan Schutt going for a catch during the ICC Women's World T20 2018 match between India and Australia at Guyana National Stadium on November 17, 2018. 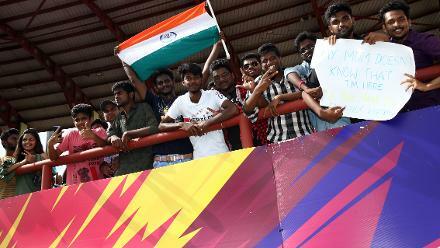 India fans show their support during the ICC Women's World T20 2018 match between India and Australia at Guyana National Stadium on November 17, 2018 in Providence, Guyana.